In a comfy jersey linen blend, White Stuff's Spectrum shirt has modern twist. Part top-part shirt, it features a gathered V-neck with a straight collar, long sleeves with buttoned cuffs and button through side seams. In a comfy jersey linen blend, White Stuff's Spectrum shirt has modern twist. 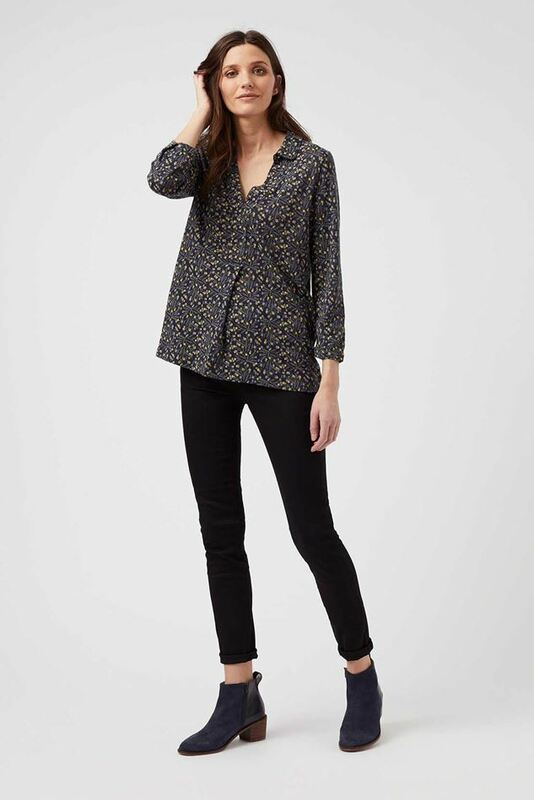 Part top-part shirt, it features a gathered V-neck with a straight collar, long sleeves with buttoned cuffs and button through side seams - so you can opt for a looser fit. Easy-to-wear, this is a relaxed style number that you’ll be sure to love.